Although Grenada is small in land area and population, she has produced international superstars. Kirani James is the first that comes to mind for most people. His gold medal at the 2012 Summer Olympics in London gave Grenada the highest per capita medal count in the world. Eddie Bullen is a Grenadian musician and producer of over 150 albums. Bullen has been nominated for a Grammy and won a Canadian Juno Award in 1985. Lewis Hamilton, racecar driver, has had 9 top five finishes in Formula One racing in the past 9 years. 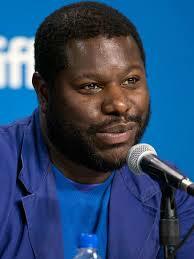 Most recently, Steve McQueen, a son of Grenada living in England, not only won the (UK) Turner Prize in 1999 (one of the highest honours given in the arts), but was also been selected to show work at the Venice Biennale in 2009 and 2013, the most prestigious forum for the exhibition of art in the world. In addition, besides directing Hunger (2008) which lured in 36 international film awards and nominated for an additional 22. McQueen’s film Shame (2011) won 27 awards while nominated for 57. Many people would consider themselves successful in their career if they had achieved what McQueen had at that point. Then McQueen directed 12 Years a Slave. 12 Years a Slave has won 96 international film awards and is nominated for an additional 124. Steve McQueen is an indomitable creative force in the world and Grenada runs through his veins. Grenada is a mother that has difficulty recognising her children. Typically in a healthy home, a child’s achievements are lauded. If the child came first in common entrance, the neighbours hear about it. If the child gets a certain number of O or A levels, it becomes common knowledge in the area. Even if someone else’s child comes into the home and does something beautiful like Jason deCaires Taylor’s underwater sculpture park, you invite your neighbours to come and see your wonderful new addition. Mexico, by contrast, has embraced its own underwater sculpture park from Taylor and has used it to tell the global community about Mexico as a destination. Grenada has children out in the world achieving and no amount of awards and accolades (and personal communication with relevant members of government) have managed to gain Grenada’s attention. In all respects, Grenada’s children have been awarded some of the world’s greatest honours and Grenada’s level of recognition for them has been negligent. There has been recent talk of developing the creative industries in Grenada. There has been talk of having an art exhibition to commemorate Grenada’s upcoming 40 years of independence. There is a line in the 2014 budget for a National Film Commission, which will “…exploit the possibilities for a new type of tourism and to build the skills base within Grenada to attract international and regional film and film related entities.” The words “art” and “creative” are not mentioned in the 106 page document discussing, in part, Grenada’s plan for securing it’s cultural capital and new touristic endeavours. Even if the document had listed every creative faculty the question remains: what good are talks of developing the creative industries in Grenada if we have every promise that rising stars will be ignored? Grenada’s children are enjoying the fruits of their labor, mostly from the international community. They have worked hard and their success has been in spite of their absentee Grenadian parent. It is the Government of Grenada that needs to affirm its role as the womb of these creative, intelligent, and athletic beacons. A first step in investing into creative individuals who will in turn create the “creative industries” that will spur this “New Economy” is to recognise them. Grenada needs to recognise Steve McQueen. McQueen’s career will go on. He will direct more movies and contribute to the international art community. By recognising McQueen, Grenada promises its young creatives that there is a future in art, film, music, theatre, and dance and that their interests and efforts are not in vain. If Grenada wants to create a lasting legacy of remarkable people in the world, it has to start with telling its own children, “These Grenadians are remarkable”.